A word to the wise. . . If you get mail from Citations Processing Center, it's not a good thing. I know because I was the unlucky recipient of mail from them. Guess what it was? You're right, it was a traffic citation. Specially, it was a Notice of Determination from the Automated Red Light Enforcement Program. Apparently, my car was photographed and video-recorded while entering an intersection when the traffic signal was red. And the fine is a whopping $135!!!! I haven't paid the fine yet because I'm thinking of contesting the citation. The good thing is that they (whoever they are) give you access to the photographs and video-recordings on which the citation is based. From looking at the video, I think the light changed from yellow to red just as my car entered the intersection. I think this means I should not have been ticketed. I'm going to have my husband take a look at the video with me to make sure I'm assessing it correctly. If he agrees, then I'm going to contest the fine. You can also take a look and let me know what you think. An interesting thing about citations from these automated programs is that the fines are civil fines, so they don't count against your driver's license or your car insurance. You pay the money and it's over and done, or should be. There is an upside to my citation though. It's gotten me to thinking about possible stories involving hidden cameras. 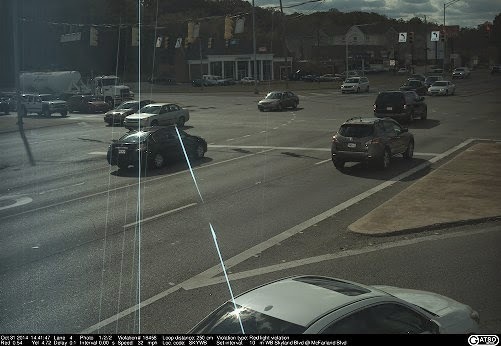 There's something eerie about the idea of a camera tracking your movements, even if it's a traffic camera. In my story the person with the hidden camera could be a stalker, a private detective, a corporate spy, a worried spouse or a concerned parent. The possibilities are endless. As soon as I finish the book I'm working on now, The Summer of Me, I'm going to spend some more time on my hidden camera idea. Now it's your turn. Have you been ticketed by any of these automated programs? I hope not, but you have please share your misery. On a fun note, have you read any books that involve hidden cameras? If so, I'd love to hear about them. If not, do you think you'd enjoy reading such a story? Angela Benson is the author of 14 novels and two novellas. 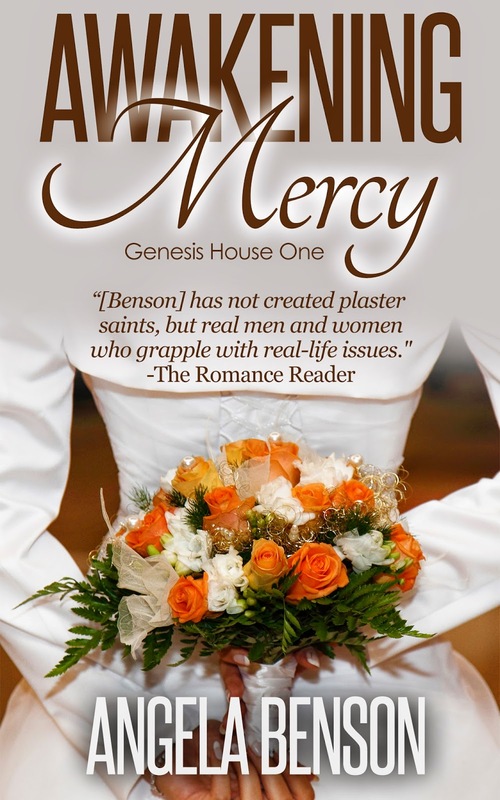 In Awakening Mercy, the first book in her Genesis House series, CeCe Williams meets her Mr. Right when she's completing court-mandated community service due to unpaid parking tickets! Of course, there's more to CeCe than her parking tickets. She's a busy single mother who's wary of falling in love again given how it turned out for her the first time. Her Mr. Right, Nate Richardson, is recovering from a divorce he didn't want and has his own reservations about committed relationships. Can the two of them let go of the pain of the past and build a life together or will secrets from CeCe’s past destroy any hope they have for a future? They just put up cameras at my gym and not where you might expect them - outdoor hallways, interior corridors leading to weight rooms. Really odd. Good luck with the story! Melinda, cameras in the gym give me another story idea. I keep thinking at CCTV in the UK. I have to decide whether to go focused as in the gym or widespread as with CCTV in the UK. Received one of those last year, though not from a camera. An officer spotted me speeding in a construction zone. I was probably daydreaming or thinking up a story and didn't focus on the signs. Just to be clear -- when they say 'Fines double in construction zones', they're not kidding. Sigh. Patricia, I'll have to follow your lead and think about taking responsibility instead of seeking to contest. Yuck! Yes, red light camera for turning right on red. They want to see an all the way stop--maybe even another car pass while you are stopped. Shaleen, it's looking like I'm going to have to pay. I sure do hate it. Big brother is watching. Cameras are everywhere. As a suspense writer I have used that in stories. We got a citation once with a rental car. We passed by a toll booth and didn't know it until it was too late! The letter came about 3-4 months later.